In this article , We will learn how to install Ambari agent for Ambari on different operating systems. We use yum command if operating system is CentOS or Redhat. 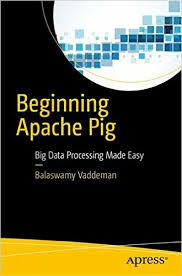 We use zypper command if operating system is SLES or apt-get command if operating system is Ubuntu. Commands below needs to be run as root user. 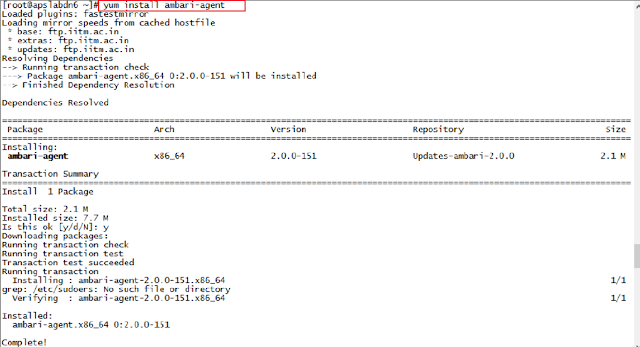 The picture below show how to install ambari-agent on CentOS. We need to inform ambari-agent about ambari server's hostname. hostname property in ambari-agent.ini needs to be updated for the same reason. The picture below shows hostname property in ambari-agent.ini file. Now ambari-agent needs to be started with ambari-agent start command. Now confirm ambari-agent is running using ambari-agent status command.